Tabitha Lupien, who played Becky in the movie Hairspray, takes time out to teach us a Jazz Pump dance step. This step seems really easy, but it is best to practice it in front of a mirror to check your upper body and how it looks when you are putting the steps together. Even though this is a jazz pump, it can be used in other forms of dance as well. Tabitha is joined at her studio by Katrina, Sloane, Jennie and Brianna. Arms are very important in jazz dance – one of the most popular forms of dance. Jazz dance can be slow and graceful or very abrupt with sharp movements. 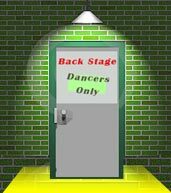 Jazz dancing inspires dancers to master their improvisational skills and teaches dancers to move with the beat. Tabitha Lupien is an actress, dancer and choreographer who teaches at the Canadian Dance Company dance studio. Tabitha has been in other movies as well including Santa Clause, Rent-a-Kid and Goosebumps among others. She also played John Travolta's daughter in Look Who's Talking Now.